The HEC Master in Management (Grande Ecole) is one of the most sought-after MiM programs in Europe. 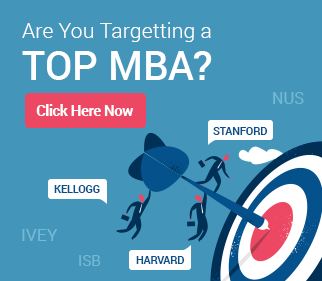 Many even consider it to be a great alternative to the MBA, as the program is really extremely comprehensive, offering multiple opportunities for learning and gaining practical experience. In the array of learning options available, the HEC MiM is definitely top notch. If there is one word that can be used to summarize the entire HEC MiM program, that word will be ‘contemporary’. The program has been designed keeping not just traditional options (Marketing, Finance etc.) but also emerging business areas in mind. For example, one can choose in-depth study and exposure across a specific subset of business areas to earn certificates. Available in areas such as Innovation Management, Luxury Strategy, Social Business, and Digital Transformation, these certificates cover emerging areas of business. The HEC Master in Management also includes the option to complete a one-year internship between the two main phases of study, lending a very unique opportunity to learn as one studies and gain real-world experience in the area of one’s interest. Looking for expert MiM Admissions Consulting? 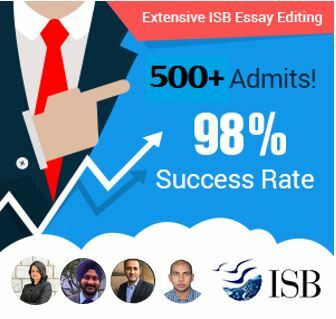 GyanOne has helped more than 200 college seniors to apply to and get accepted to top Masters in Management programs, and other young leader programs such as Yale Silver Scholars, HBS 2+2, and ISB YLP.Contact us today at +91.989.983.1738 or click here to know more. – The HEC MiM is very collaborative and focuses on diversity. This forms an important theme in your applications as well as your interviews. Traveled abroad? Worked in diverse teams? Won team awards? HEC wants to know, and you should tell them. – Leadership matters. Quite a few applicants to the HEC MiM are in fact college seniors or recent graduates, so it is not possible to draw out their leadership from professional experience. College initiatives therefore become important. – Your future matters as much as your past. Unlike MBA programs, MiM programs are more open to applicants seeking to explore career paths without necessarily having a background related to them. Given the fact that HEC offers cutting-edge instruction and learning in its curriculum, it is important that you tell them not just what you have done, but also what you plan to do in the future and why it is important to you. Meghdut is a college senior from India and a former GyanOne client. Around the time that he began the final year of his studies, he knew he was seeking management education already. Meghdut is an entrepreneur before he is a graduate – he has been running a successful music production venture and is also involved in aspects of managing his family business. Management education for him is a must-have. The MiM programs in Europe are a natural choice, and HEC is naturally top of Meghdut’s list. While applying, Meghdut worked with GyanOne across multiple parameters – refining his stories, deciding on which strengths he should highlights, and on how we could address the one or two perceived weaknesses he had. Meghdut also faced key points of decision – he had many achievements to choose from, and multiple possible career paths ahead, yet he wanted to talk about what inspired him the most. He wanted to focus on why HEC appealed to him on multiple parameters. He wanted to ensure that his achievements could help bring out his true capabilities, not just be seen as occasional spikes. Multiple discussions and rounds of changes later, Meghdut was ready to apply, just before he needed to leave on an international AESEC trip. Meghdut’s focused planning, emphasis on bringing out the right stories, and hard work in exploring multiple angles of his profile to ensure that he was highlighting the right ones helped him gain big success at his MiM applications. 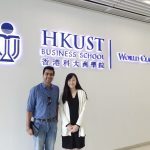 Meghdut received admits from the Master in Management programs at HEC, ESCP, and IE. He finally opted for HEC, his first choice when he began. Team GyanOne wishes Meghdut the absolute best as he prepares to join HEC in 2014! I too cracked the HEC MiM program this year and second your thoughts here. @Meghdut: Welcome to the party bro! I am also planning to apply to the HEC MiM this year and am about to take my GMAT next month. Can you please share some details about your profile with me like your GMAT score, acads etc. through mail (I believe you would not be eager to do so online). My mail ID is snehalthehunk@gmail.com. The HEC Masters in Management is the best program in Europe. I will rate it even better than the LBS program. Very interesting to read this story. I will get in touch with you over my Masters in Management essays soon. @Rahul: The HEC MiM vs LBS MiM is a comparison that we see being made very often, especially because these are possibly the top two choices for MiM applicants. Both schools have their fans, though.